Early in my career I created Hometown Memories as a nostalgic embodiment of the images of my childhood. The current offering recreates that painting but with the blaze of holiday light. A freshly fallen snow has rendered the village lane pristine. The luminous radiance dancing upon the ground and the twinkling glow from the holiday decorations reminds us that Christmas is truly the season of lights. I believe that everyone has a dream hometown buried somewhere in their subconscious. 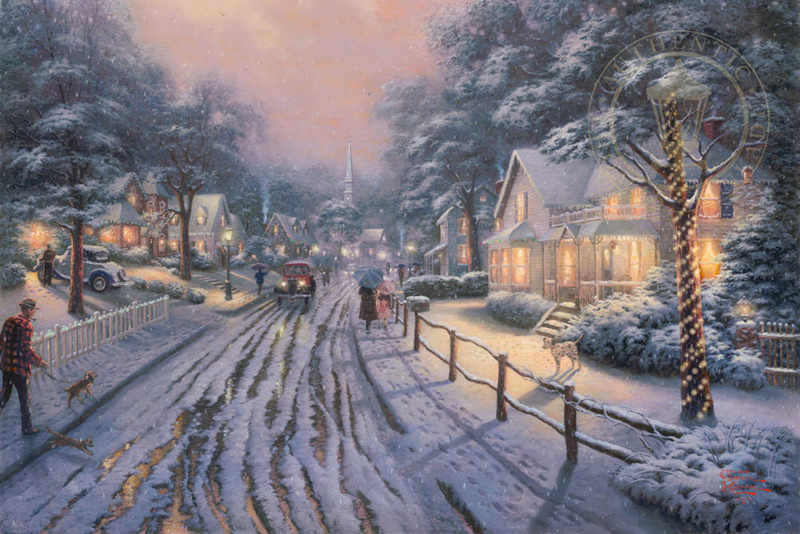 Hometown Christmas Memories recreates the fondest aspects of my childhood hometown dream.